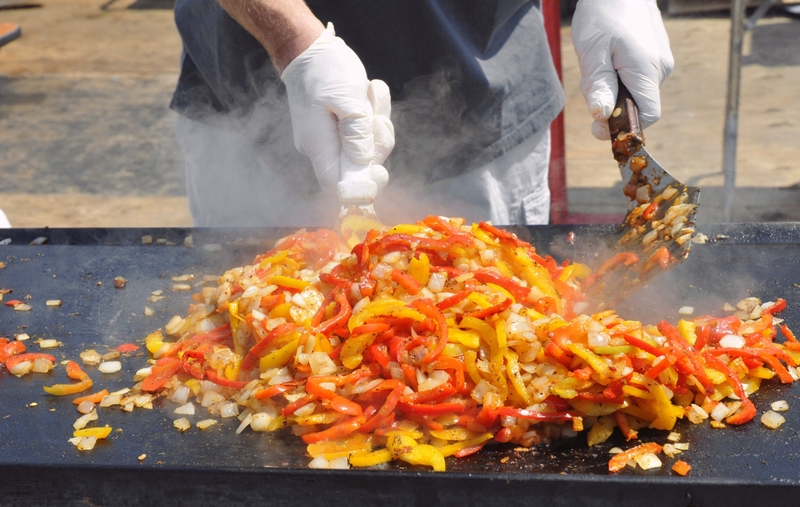 One booth was roasting chopped onions and sliced bell peppers on a griddle over an open flame. 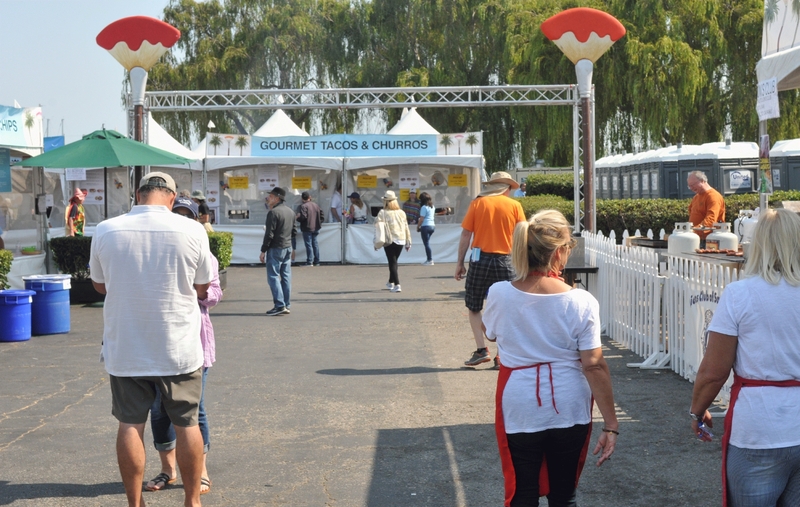 At the far end, framed by large paint brushes, was the "Gourmet Tacos & Churros" booth. Notice the restrooms to the right and beyond a hedge. Two booths, with their back to the Stella Artois Stage, were joined together with a common wall. One sold "Ice Cream." Several flavors of Ben & Jerrys. 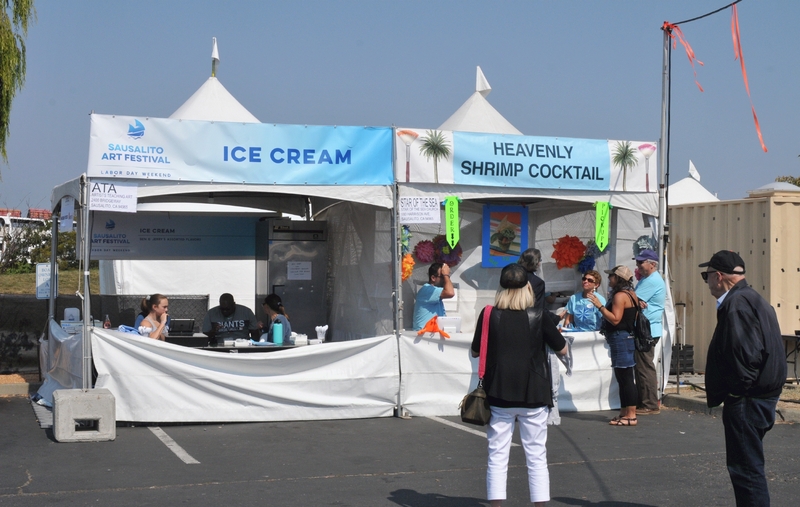 The Other sold "Heavenly Shrimp Cocktail." 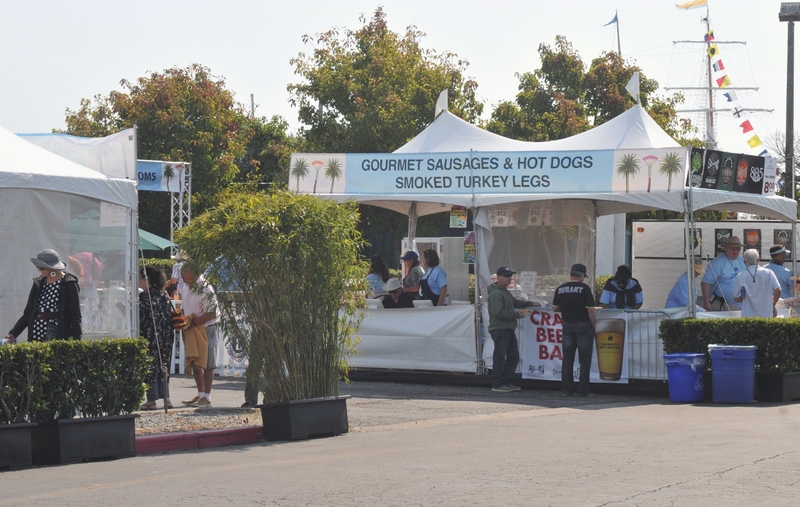 Another booth featured, "Gourmet Sausages & Hot Dogs." and "Smoked Turkey Legs." 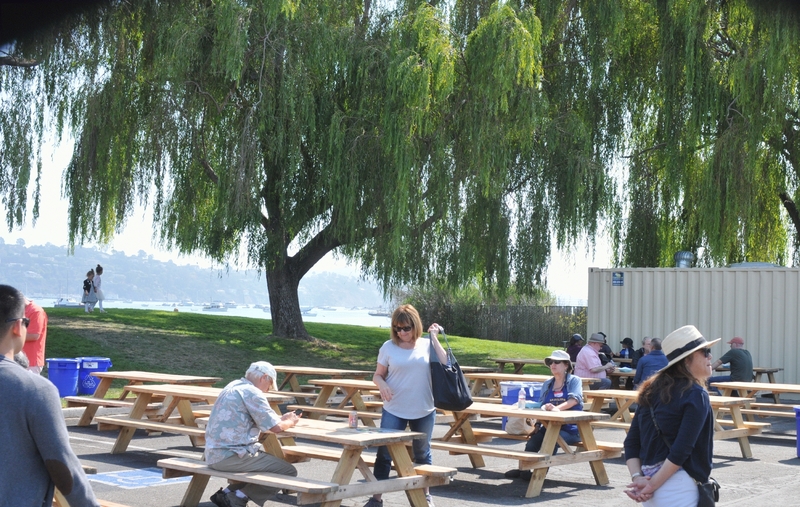 Many picnic tables were available to sit at and eat a meal. Beyond the tables, a lawn was open and shaded by a mature tree. Several booths in a row. Two of them visible here. 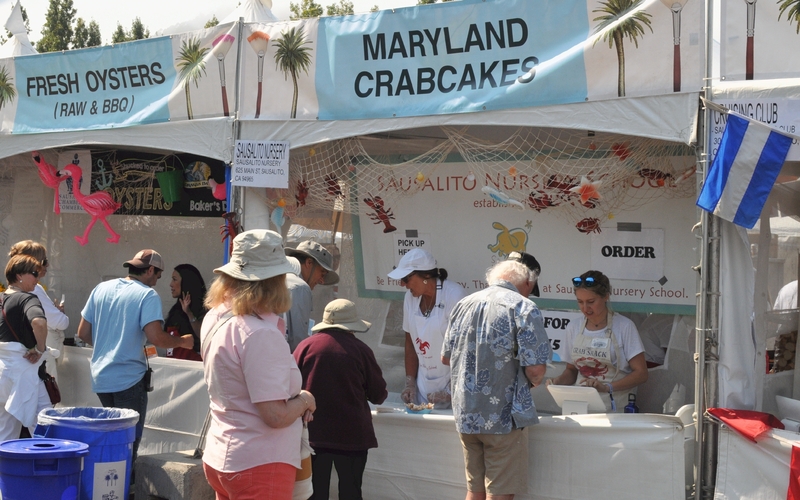 One sold "Fresh Oysters (Raw & BBQ)" and the other sold "Maryland Crabcakes." 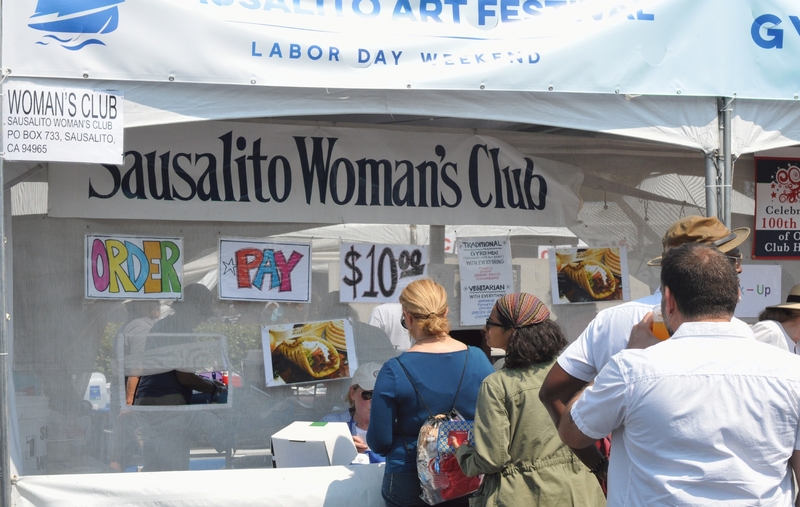 The "Sausalito Woman's Club" sold "Traditional Gyros," and "Vegetarian" Gyros. Either could be purchases for a mere $10.00 each. 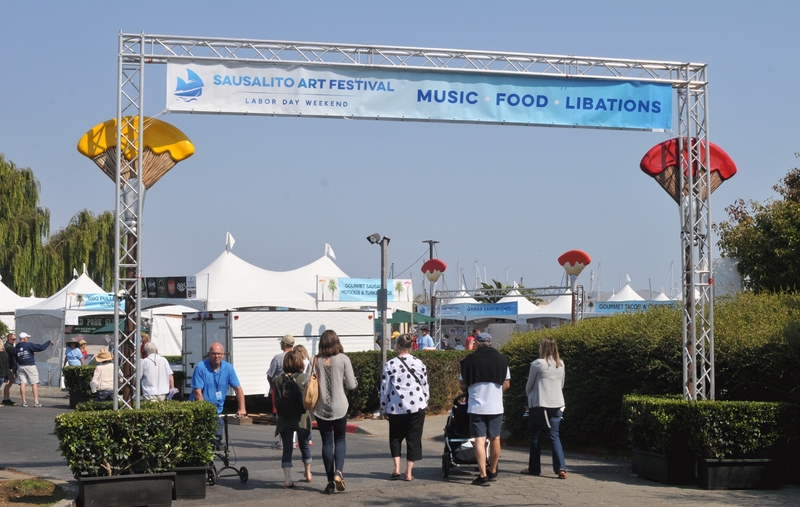 A sign over the wide paved path indicated the way to "Music Food Libations." By "Music" they meant the Stella Artois Stage. The restrooms were also in this direction, but not noted in the sign. That same booth also roasted sausages and hotdogs over an open grill. 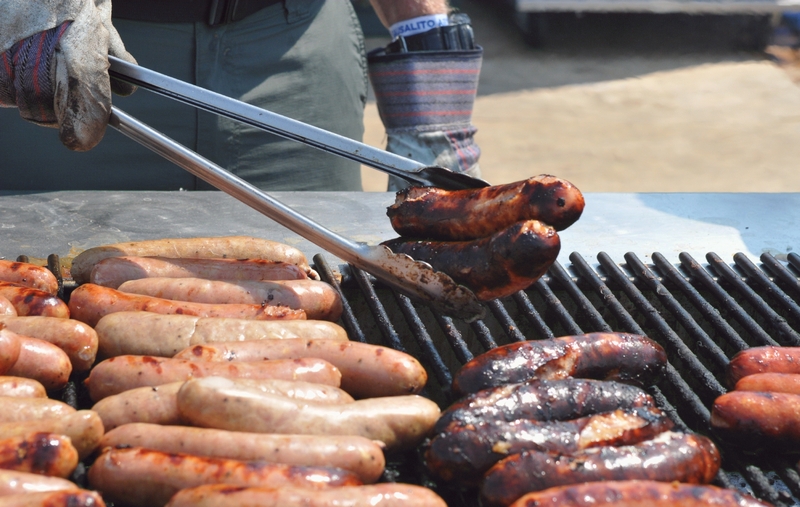 The sausages were not served until they burst open.